FIFA President Sepp Blatter has written to Royal Dutch Football Association (KNVB) President Mr Michael van Praag to express his sympathy over the death of assistant referee Richard Nieuwenhuizen. 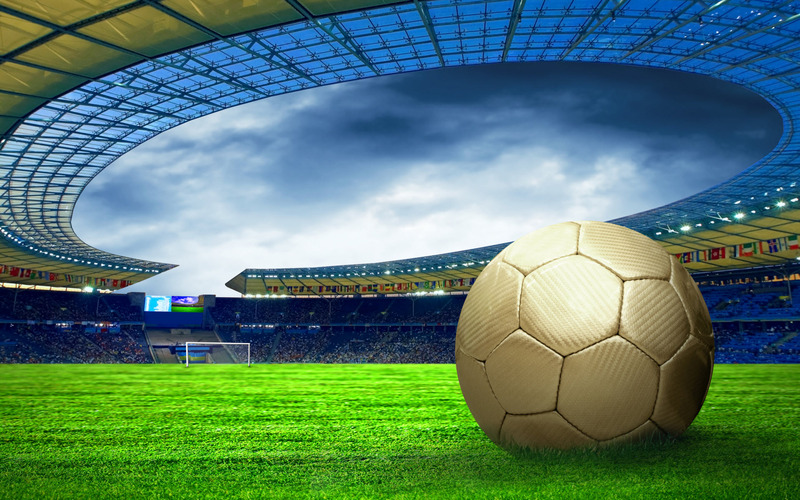 The 41-year-old Dutchman was attacked while officiating a youth match between Buitenboys and Nieuw-Sloten on Sunday, and was later declared dead. “I would like to express my sadness and distress on hearing of the death of assistant referee Richard Nieuwenhuizen,” wrote the FIFA President. “I was deeply shocked to learn of this tragic incident. Nieuwenhuizen collapsed and was rushed to the hospital hours after players from Amsterdam club Nieuw Sloten punched and kicked him. ”You can’t believe this could happen. That kids of 15 or 16 are playing football, you come to watch and see something like that,” Buitenboys club chairman Marcel Oost told national broadcaster NOS. The incident has caused shock and revulsion in Holland, with the Dutch football association cancelling all amateur matches for the coming weekend as a mark of respect. The attack in Almere was discussed at a news conference in Spain on the eve of Ajax’s Champions League match against Real Madrid. ”You can’t imagine it happening,” said Ajax coach Frank de Boer. ”That boys of 15, 16 years short circuit like that. You wonder about the parenting. Cherno More Varna defender Sasho Alexandrov has been given a six-match ban for body-checking the referee during his team’s 4-0 loss at Levski Sofia in the Bulgarian Cup on Sunday, the domestic football union (BFU) said. Alexandrov was shown a straight red card for the 74th minute incident, with Levski 3-0 up and having just been awarded a penalty by referee Stefan Spasov. And so he should be: the footage clearly shows Alexandrov had ample opportunity to avoid the collision, but he maintained his course and even veered towards the official at the last moment. A number of websites have mocked the referee for the way he went down, but in the light of events in Holland perhaps now is the not the time to mock match officials. We’re into December and for most professional footballers that means one thing and one thing only: slip off the wedding ring, line the stomach, place your agent on 24/7 alert, because it’s Christmas party time! West Ham were quick out of the blocks, heading to Dublin for their annual shebang just hours after the Hammers’ 3-1 win over Chelsea on Saturday. One surprise inclusion in the trip was Andy Carroll. The striker had been ruled out for 8 weeks with a knee injury but rather than stay at home for rest and recuperation, the valiant Carroll was determined not to let his team-mates down and he selflessly hobbled around the cobbled streets of Dublin, consuming copious amounts of alcohol – presumably, for medicinal purposes. Inevitably, the sight of a squad of celebrating Premier League footballers attracted a number of hangers on, among them local photographers determined to capture intimate images detailing the refuelling habits of some of the world’s most highly paid professional athletes. For Carroll, the presence of one photographer was simply too much to bear. I’ll leave it up to the snapper to explain what happened next. Paddy Cummins, who is 5ft 8in, claims the 6ft 3in on-loan Liverpool striker gouged his right eye while trying to grab his camera. “He was like a wild animal,” Cummins told The Sun. “I felt this terrible pain in my eye as he gouged me. West Ham issued a statement denying the allegation and insisting there had been no physical contact between Carroll and the photographer. “Andy agreed to have a number of pictures taken at the request of a photographer who was waiting on the street,” it read. “Despite this, the photographer then carried on taking photos in the close proximity of Andy and was politely asked to stop by the private security team working on the trip. “When he then continued taking more photos he was restrained by the security team for Andy’s safety. A spokesman for the Garda press office in Dublin said officers received a report of an incident at 2.30am yesterday. Officers at the city’s Pearse Street station are investigating the incident. There were some memorable images to emerge from the evening. Here’s Carroll, looking slightly the worse for wear. Perhaps, in hindsight, it was not the best idea to wear an all-white ensemble for an evening of debauchery. While black may flatter the figure, white tends to just highlight the spilt Guinness. 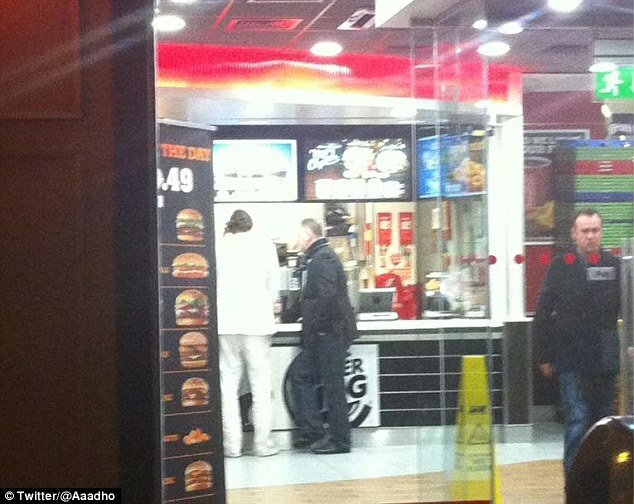 My favourite shot comes at the end of the night when Carroll, conspicuously without his knee brace at this point, decides to end the evening in style by dining at… Burger King! Angola coach Gustavo Ferrin failed to travel with his squad for the start of their African Nations Cup preparations because he has not been paid. Ferrin had not been paid for four months, Jornal dos Desportes said, and he spent Monday in discussion with the Angolan Football federation while his squad headed to the south of the country to commence their training. A 25-man squad, excluding the country’s European-based contingent, will spend the next three weeks at altitude in Lubango and play warm-up internationals against Gambia, Cameroon and Rwanda. Ferrin’s future was unsure, the newspaper added, suggesting that he might be on the point of quitting. And having not being paid, who could possibly blame him. Angola open their Nations Cup campaign in Johannesburg on Jan. 19 against Morocco. They meet hosts South Africa and the Cape Verde Islands in their other two Group A matches. Manchester City manager Roberto Mancini has denied suggestions that this season’s Champions League campaign has been an embarrassment. Five matches in and still without a win, City travel to Borussia Dortmund knowing that only a victory will give them a chance of finishing 3rd in the group and thus qualifying for the knockout stages of the Europa League – or ‘Thursday nights on ITV4‘ as the wags on the terraces never get bored of reminding us. “We are disappointed because we wanted to reach the second round,” said Mancini. “But I believe that there are times when there are teams in football that are better than you and you have to respect that. No shame in coming third in a fiendishly difficult group, but City face the very real prospect of finishing fourth below a side that was assembled at a cost of approximately £4.5 million. That kind of money would just about pay Yaya Toure’s wages until the end of the season. Ordinarily, the failure of football’s biggest spending club to reach the Champions League knockout stages for the second year running would be a cause for celebration among neutrals, but with City, you just know it will just encourage the club owners to spend even more lavishly. Masashi Nakayama, who scored Japan’s first ever goal in the World Cup, is retiring after admitting he can no longer cope with the rigours of professional football. At the age of 45 it’s fair to say that he has earned a break. Nakayama is the J.League’s all-time leading scorer with 157 goals, which were affectionately dubbed ‘Gon-Goals’ after his nickname, ‘Gon’. The J.League 2012 ended last Saturday when Consadole were relegated after finishing at the bottom of the 18-team division, hardly surprising if the man leading their front line was closer to receiving his pension than making his professional debut. Nakayama scored Japan’s solitary goal, in a 2-1 loss to Jamaica. He broke his leg in a clash with a Jamaican player soon after his 74th-minute strike, but continued playing until full-time. Nakayama, who also played at Korea-Japan 2002, scored 21 goals in 53 international matches between 1990 and 2003. He holds the world record for the fastest hat-trick at international level. In 2000, he scored three goals in three minutes and three seconds in an AFC Asian Cup qualifier against Brunei. He also scored four hat-tricks in four successive J.League games in 1998, which again is a record. Gael Bigirimana cuts in form the right before unleashing a fierce shot from the edge of the area in Newcastle’s 3-0 win over Wigan on Monday. Pablo Zabaleta on the unpredictable nature of his Manchester City team-mate, Mario Balotelli. Former Tottenham midfielder David Ginola says Gareth Bale’s growing reputation as a diver is “unfair”. Spurs winger Bale was booked for diving for the second game in a row before going off with a hamstring injury in Saturday’s 3-0 win at Fulham. “This debate really annoys me. The kid is doing so well. He shouldn’t carry this on his shoulder,” Ginola told BBC Radio Wales. The yellow card was Bale’s seventh of the season, which include four for diving in addition to the two he received last season for simulation. 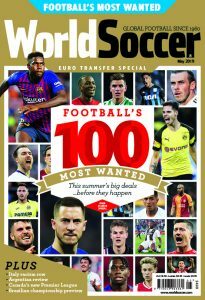 Those figures don’t look good; in fact statistically, no one in the Premier League – a league that includes Luis Suarez, Fernando Torres and Ashley Young – has dived more than Bale in the past two seasons. Ginola, though, clearly thinking on a higher level than the rest of us, believes that the winger should not be judged by the standards of his peers; mainly it would appear, because he runs faster than most of them. “When you get a reputation it’s really [hard] to get rid [of],” he continued. “It’s really easy when you run that fast with that pace on the pitch at players – you don’t need a big tackle to go down. A little push would be enough to lose the balance. “Football is about entertainment. When you have players like that who entertain you week in, week out, you have to protect that. It’s so precious. “You have to take care of them because they are little diamonds in a league like the English Premier League. “I thought he was a diamond when I saw him play against Inter Milan and score three goals [in 2010]. He is special. “When you have a diamond you don’t sell diamonds – you try and keep them,” he said. If Ginola wants Bale to be judged by different standards to other players then I’m happy to oblige. In future he shall be judged by the standards of Tom Daley. Paraguayan footballer Diego Mendieta, who played for Indonesian club Persis Solo last year, has died of a viral infection, local media reported. The 32-year-old striker died on Monday in a hospital in Solo, Central Java, the Jakarta Globe reported. The paper said Mendieta had wanted to return home but had been unable to do so as the club owed him four months’ wages which totalled 120 million rupiahs (£7,750). “He always complained of being lonely,” Guntur Hernawan, the head of the internal medicine division at Moewardi Hospital in Solo, told reporters. Former Persis manager Totok Supriyanto was quoted by the paper as saying the outstanding debt would be paid to Mendieta’s family. Solo mayor Hadi Rudyatmo said would he personally pay the player’s outstanding hospital bills and other expenses but called on others to help. All in all, this sounds a tragic story.